It’s that time of year when we start to see a transition from winter to spring and this year is right on cue. March litterally roared in like a lion this year with cold and nasty conditions and a daily dose of “wintery mix” to frost your windshield and now it’s looking lovely like a lamb. 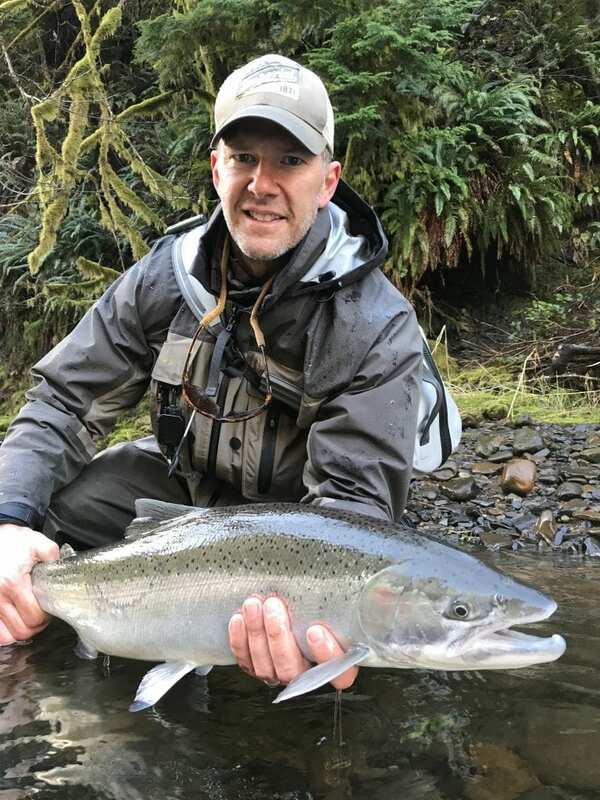 This week temps are hitting close to 70 degrees in much of Oregon and winter steelhead anglers still shivering from February and early March are starting to thaw. It’s good news for our rivers too with the only precipitation to speak of for the last month and a half has fallen in snow we are starting to see a rise in water levels on many of our river systems. Corresponding with the warm weather conditions we’ve also seen a good bump in water temperatures which is hallmark to fish movement and better fishing. Clackamas River: Water temps have just hit 42 degrees as of today and that’s the magic number! Warmer water and a nice bump on water levels and the Clack is looking good for this week! It’s a nice time of year with winter run fish hitting full stride and now that we have some warmer water these fish should be spread through the system. The season so far has been hit hard with low, clear and very cold water conditions limiting success. Won’t be long and some early run summer steelhead should be showing in the next 2-3 weeks if our run is going to be decent. Sandy River: Getting there on water temps- we are almost to 42 degrees on the Sandy with a slow rise out of the gravel on water level forecasted this could be good timing for the Sandy this week. Still a mix of wild and hatchery fish in the system but having to work hard to find them. Coastal Rivers- water temps on the Siletz, Wilson, Nestucca, Nehalem are seeing a good bump even into the 46 degrees area. This bodes well for fish movement as low, clear and cold water conditions have had fish hunkered down in deep holes and hardly moving. Deschutes River trout actions will spark with these warmer water temperatures. Watch for March browns and blue winged olives hatching mid-day. Nymphing stonefly nymphs from now into May is can be very good as the big bugs get more active heading into the main migration in May. Water levels at Madras are at 4180 a nice flow for this time of year. Watch for big moves in water levels if we get some really warm temps in the next few weeks as snow pack is fairly hefty in the Cascade mountains this year.